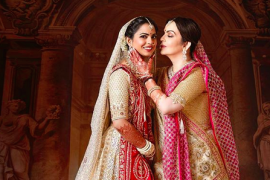 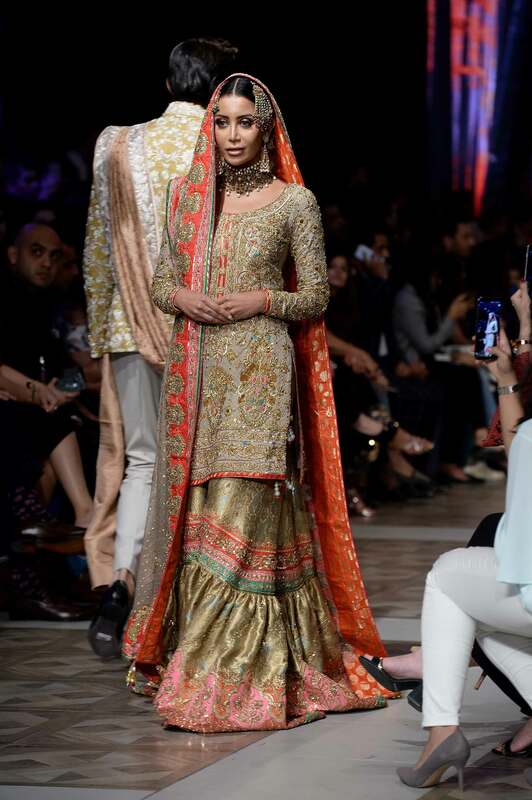 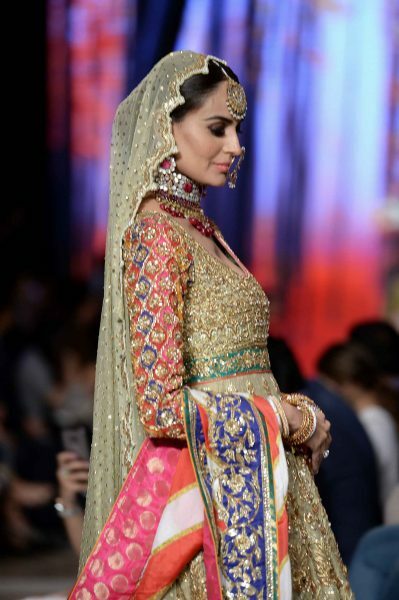 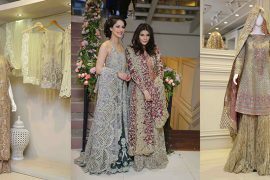 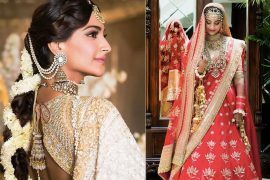 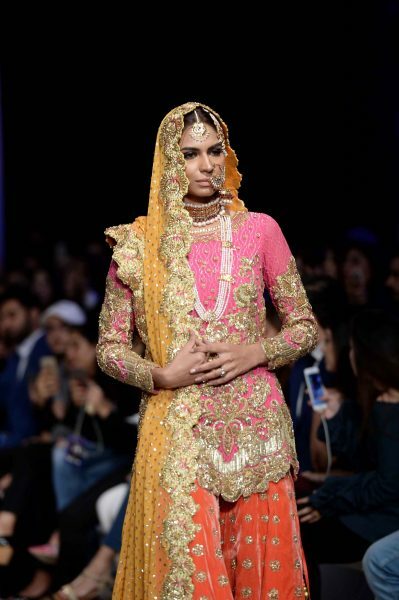 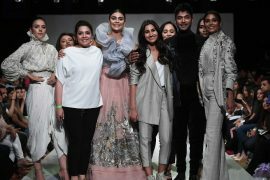 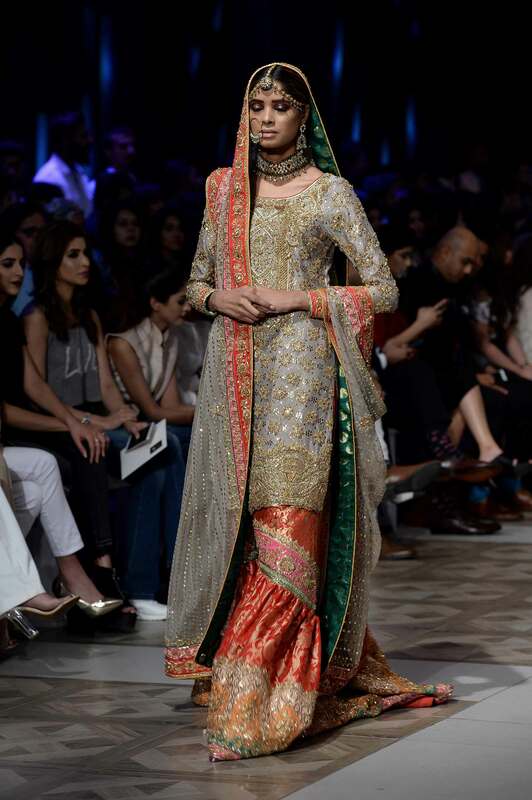 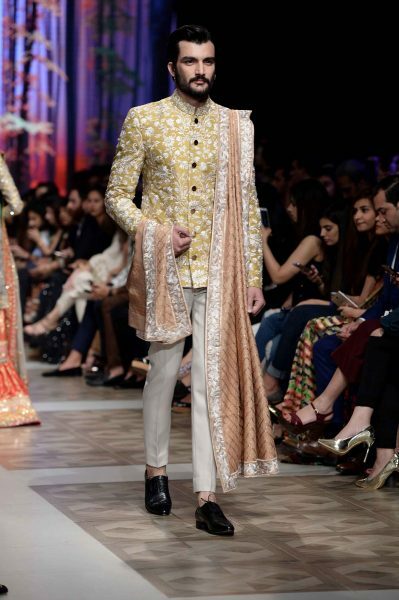 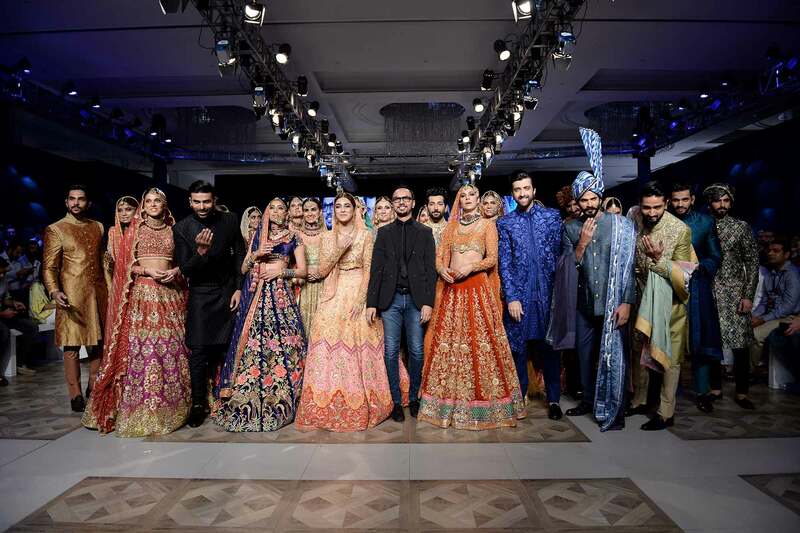 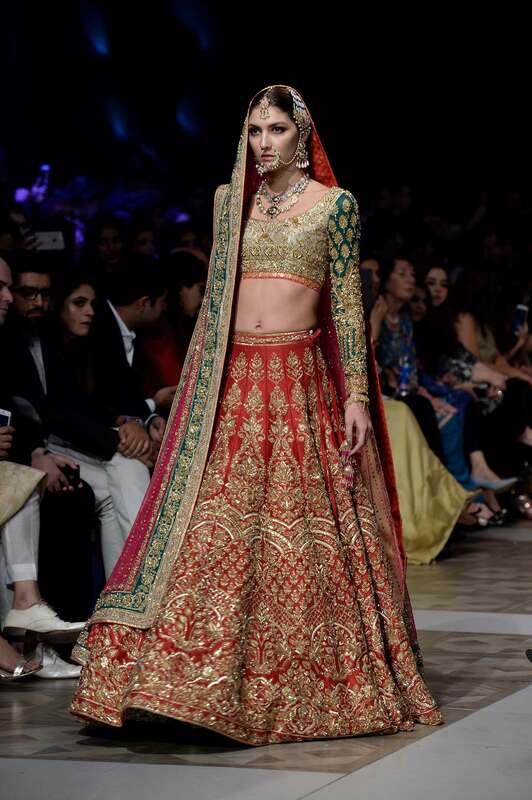 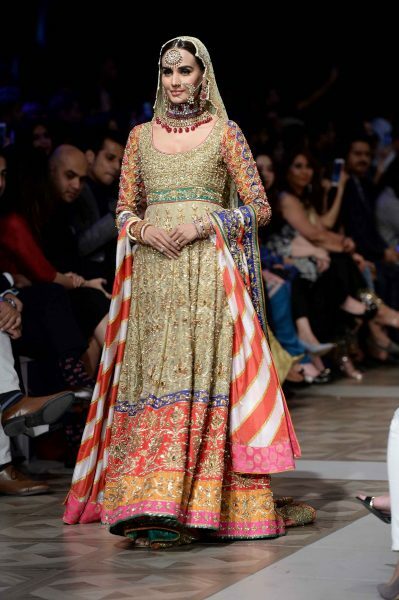 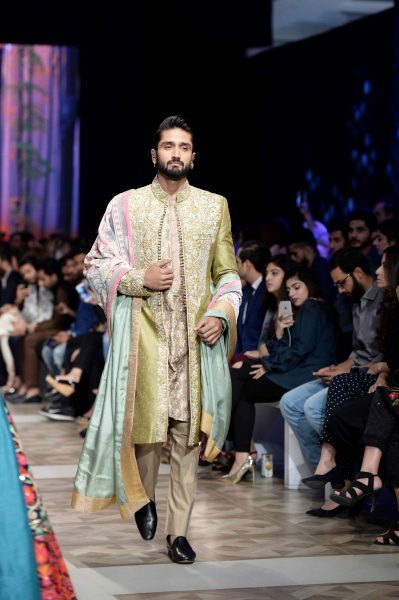 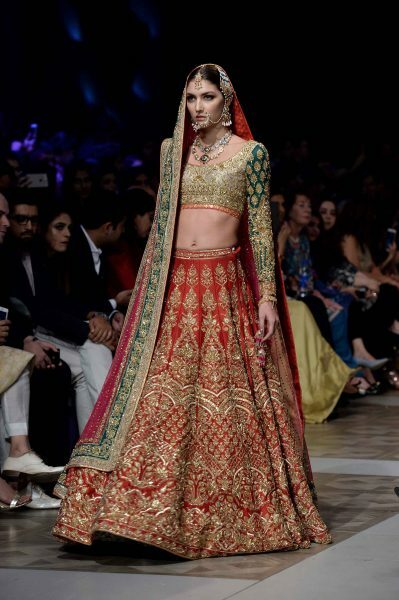 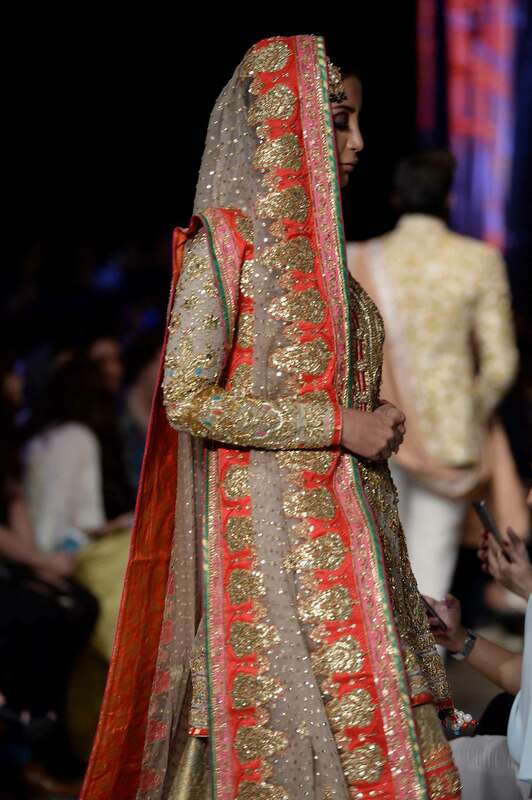 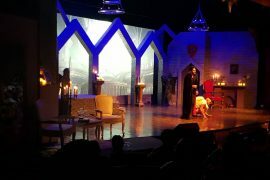 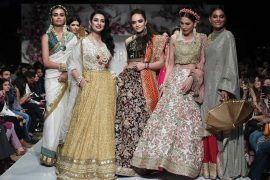 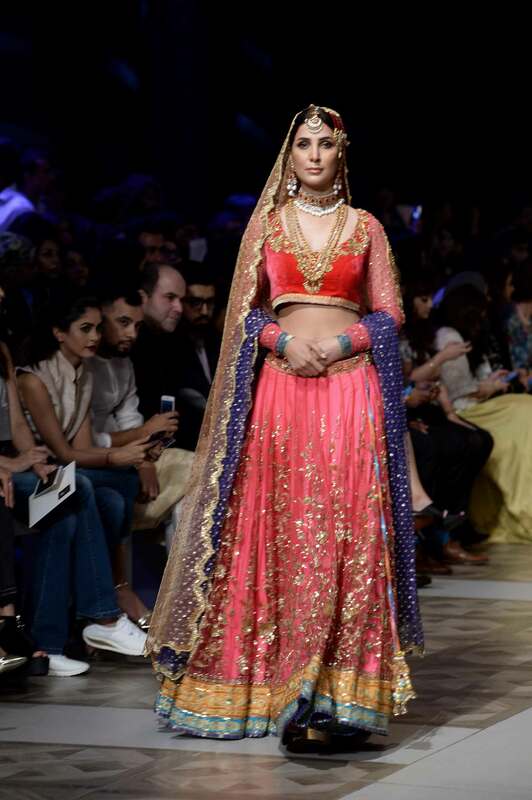 The evening bridal showcase was opened by Nomi Ansari who showcased his bridal collection ‘Qabool Hai’ in collaboration with Hamna Amir Jewellery at the seventh edition of PFDC L’Oréal Paris Bridal Week. 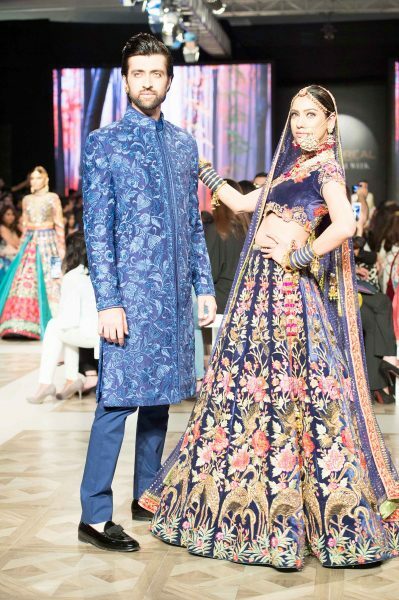 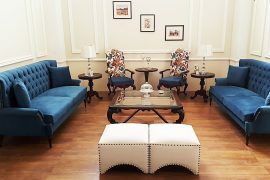 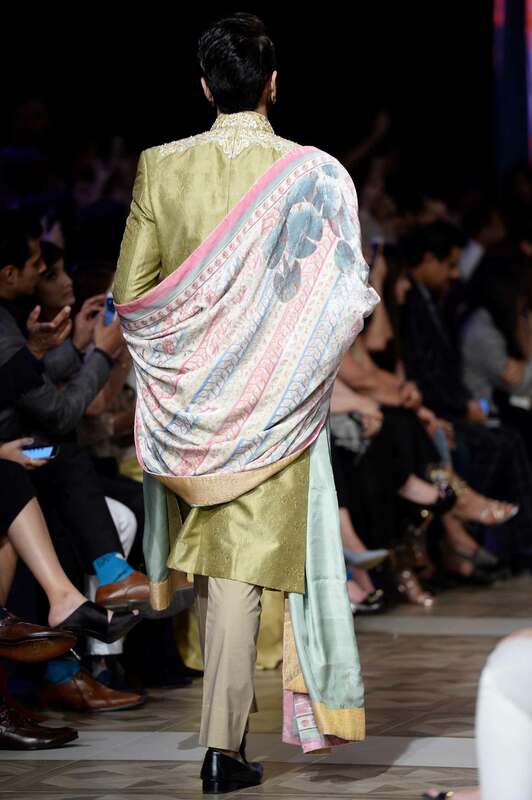 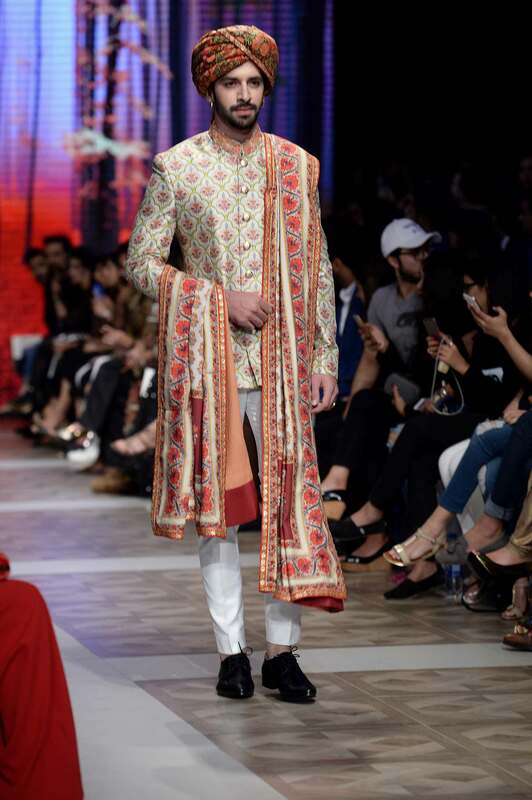 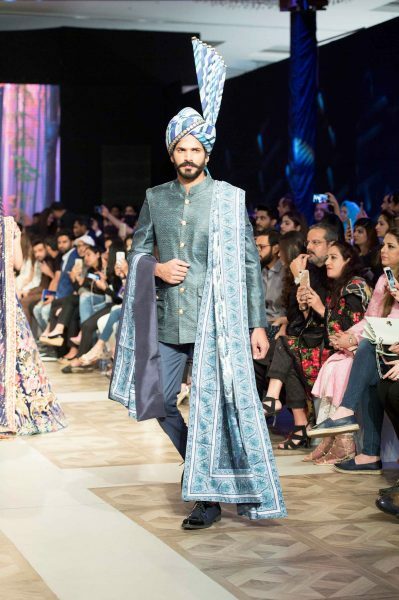 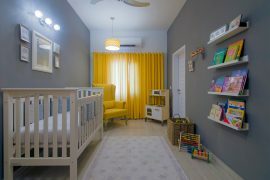 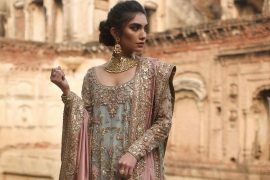 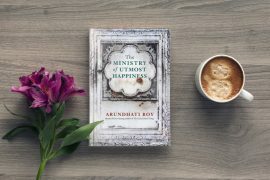 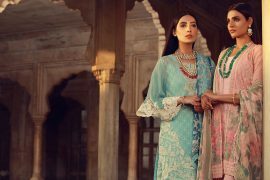 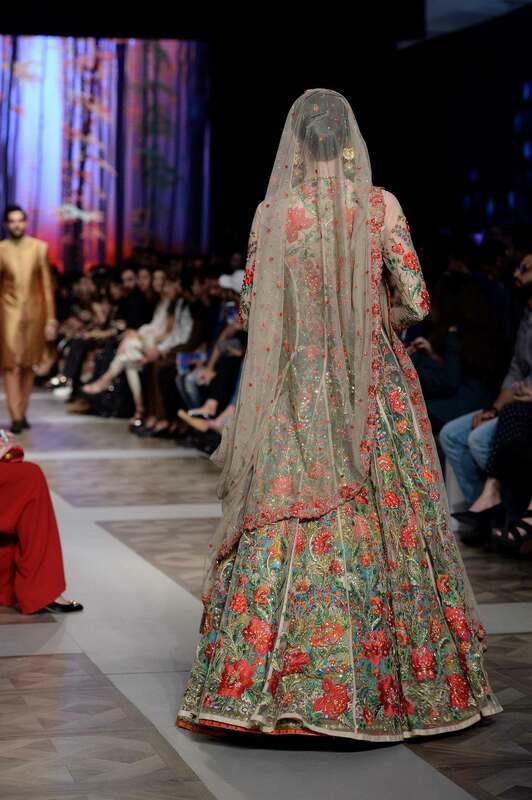 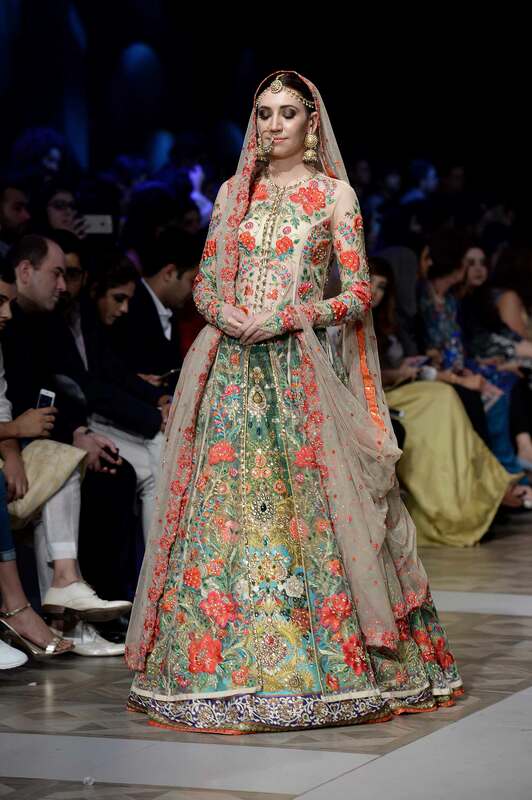 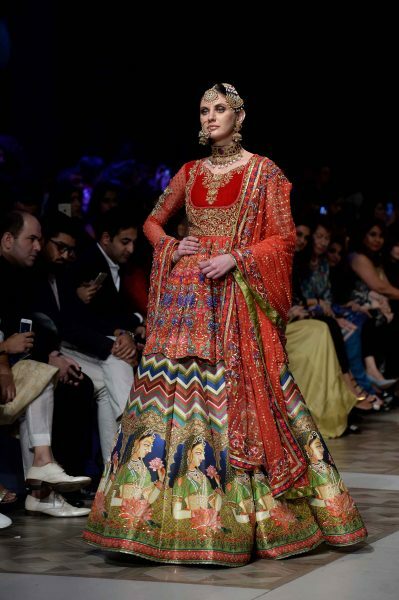 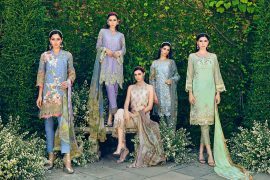 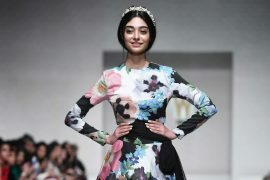 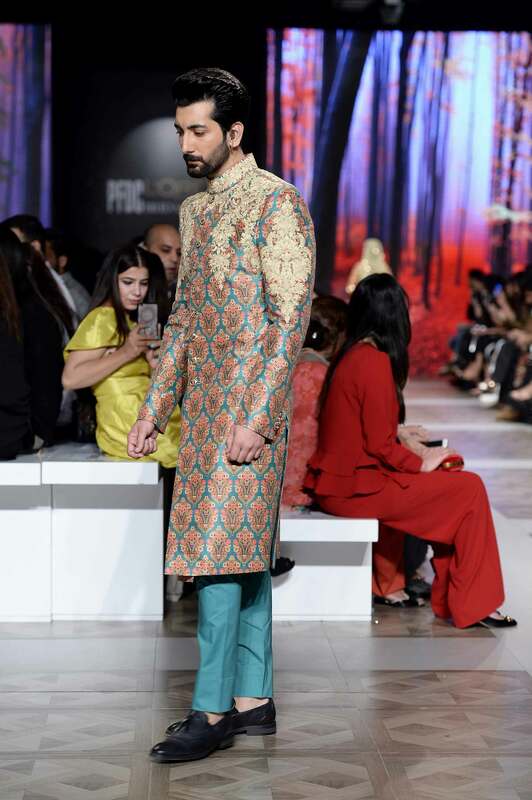 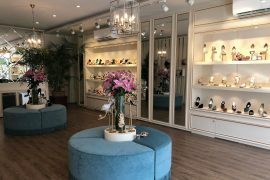 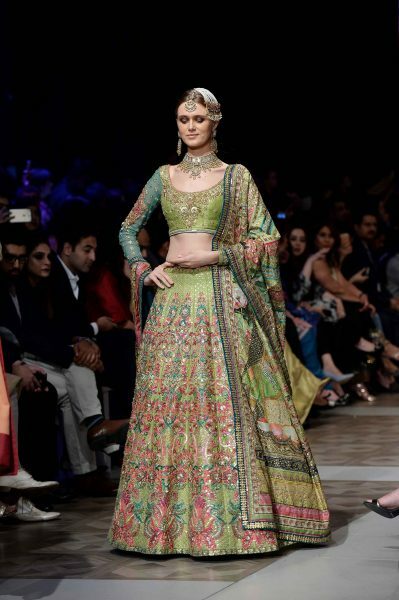 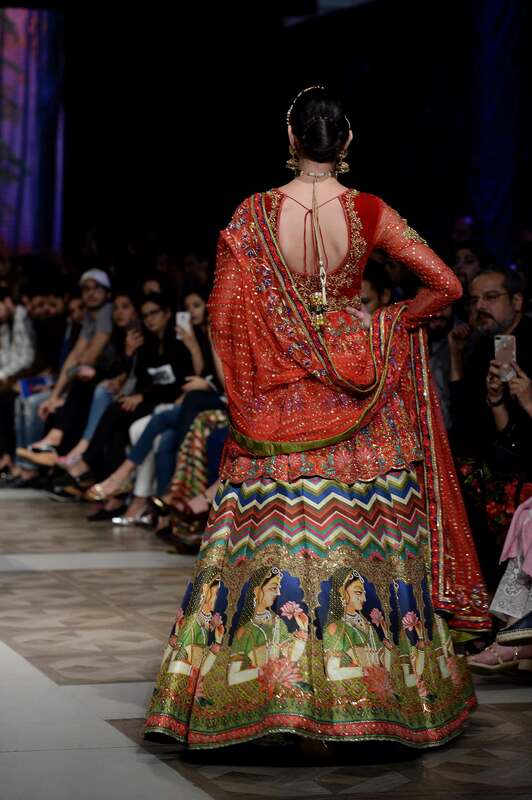 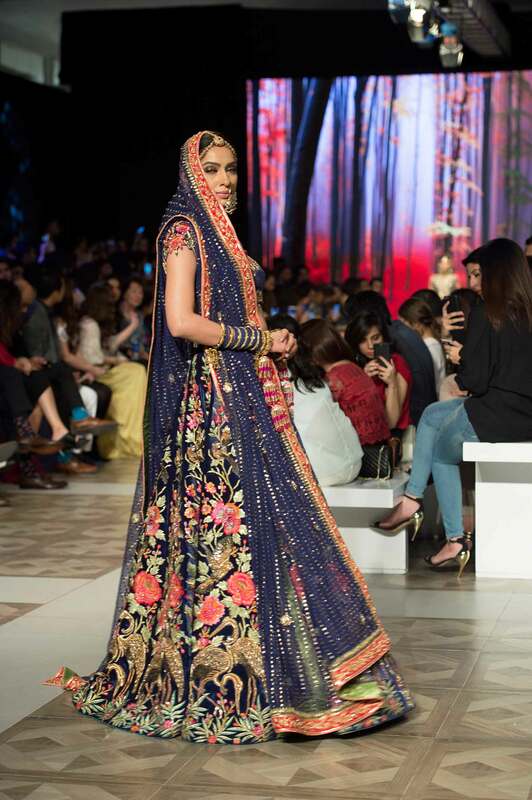 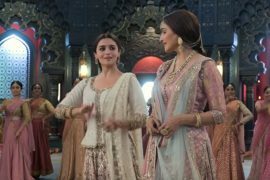 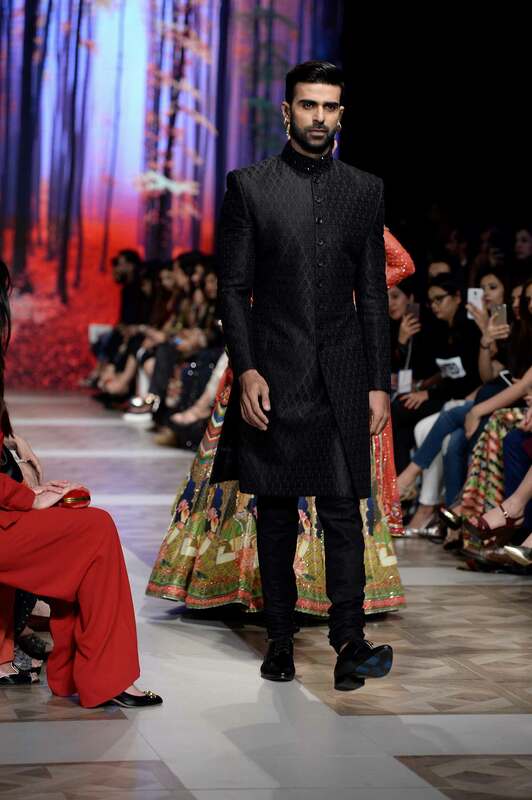 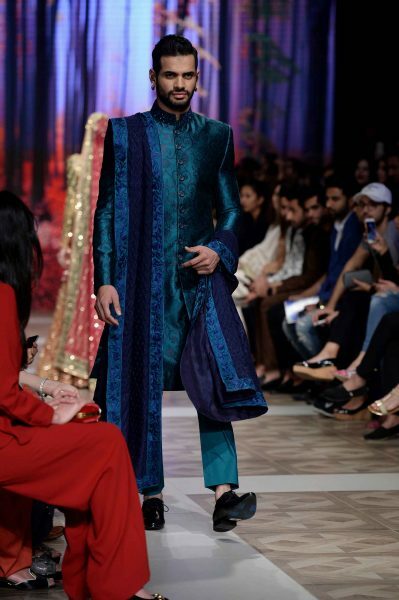 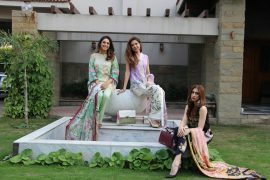 The collection was buoyed by regal, Islamic and Mughal iconography in vivid jewel tones, including traditional floral motifs and miniature art. 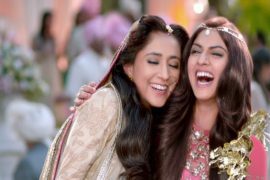 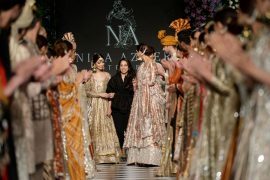 Each design of the 26-piece bridal collection was additionally redolent of the stirring melodies from K. Asif’s magnus opus Mughal-E-Azam, starring Madhubala and Dilip Kumar, including Mohabbat Ki Jhooti Kahani et al and traverses a color palette ranging from ivory and écru; to peach, ochre and rust; and from a rich cornucopia of intense hues, including lime, Rani pink, magenta, violet, emerald to meditative midnight blue. 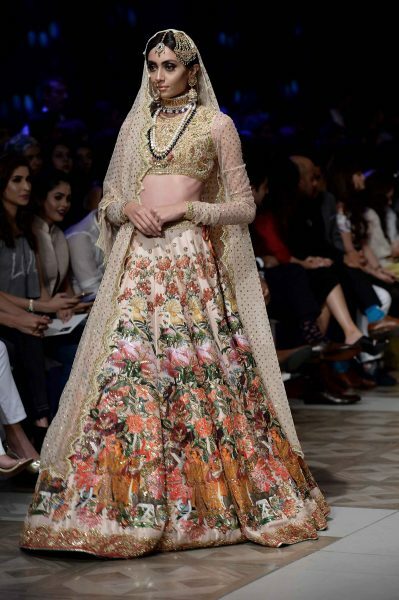 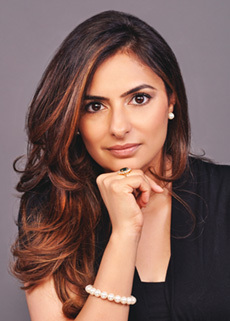 For added drama and versatility, a series of custom-made digital prints canvassed with traditional flora and fauna motifs including the Mughal lotus flower; the perennially romantic rose as well as ornamental miniatures and exotic birds are transposed onto a bevy of statement lehengas. 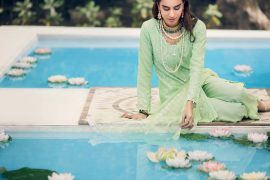 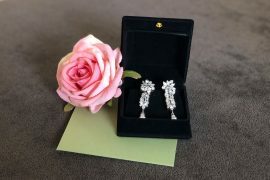 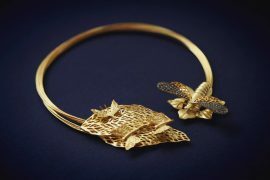 Dovetailed with and to complement the exquisite bridal collection is a range of custom-made jewellery by Hamna Amir from Lahore who has created stunning artisanal pieces with meenakaari, kundan, aari work and delicate fretwork for a traditional-meets -contemporary vibe. 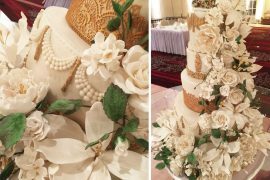 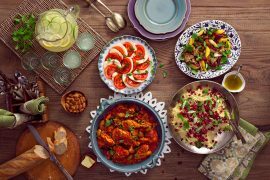 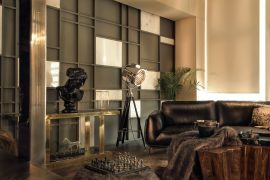 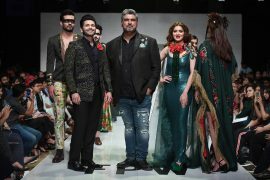 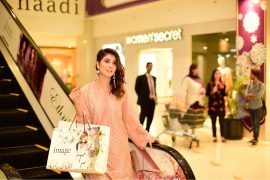 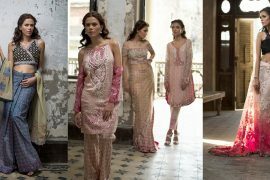 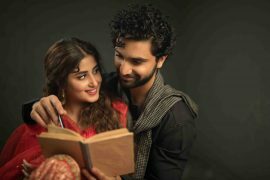 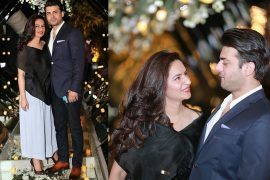 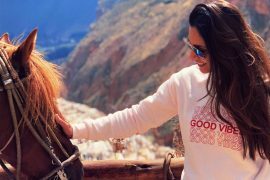 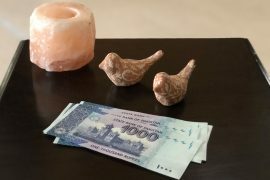 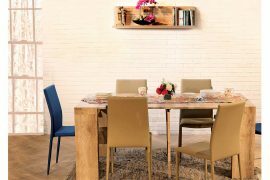 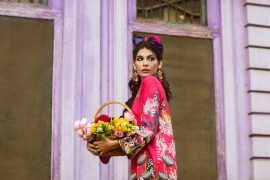 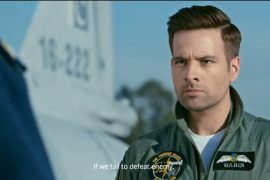 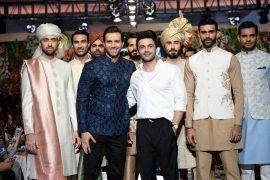 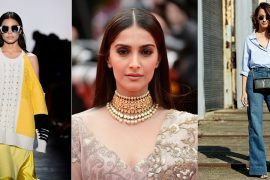 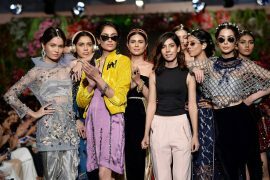 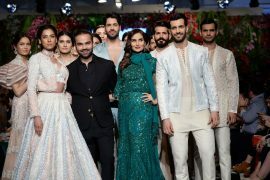 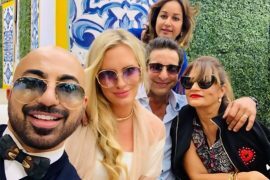 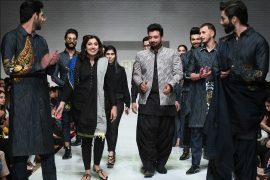 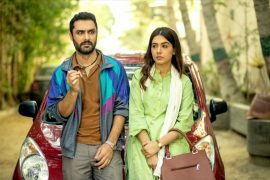 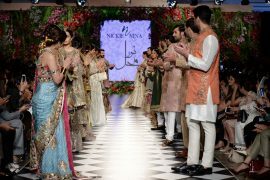 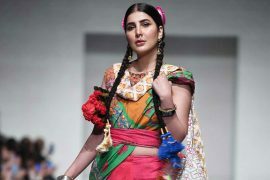 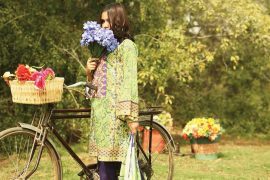 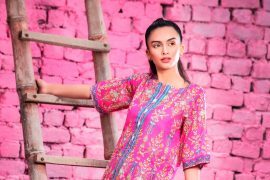 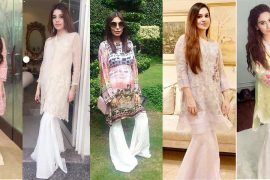 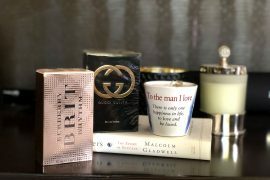 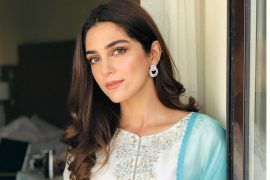 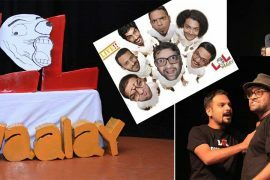 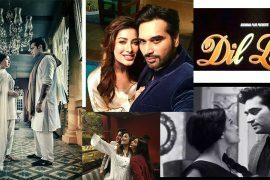 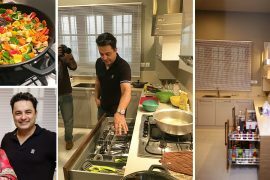 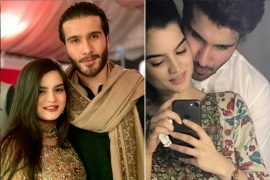 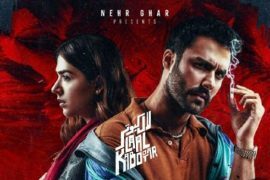 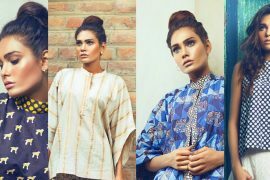 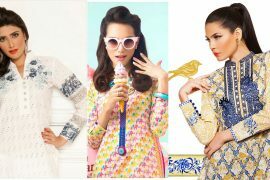 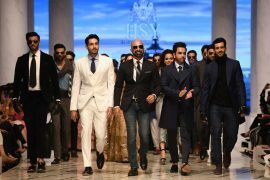 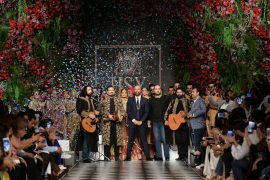 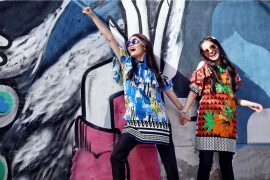 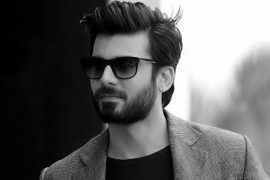 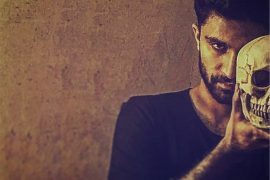 Fashion week are playing pivotal role in fame of Pakistani artists, such events helps designer to show their creativity and win the global acclaim.